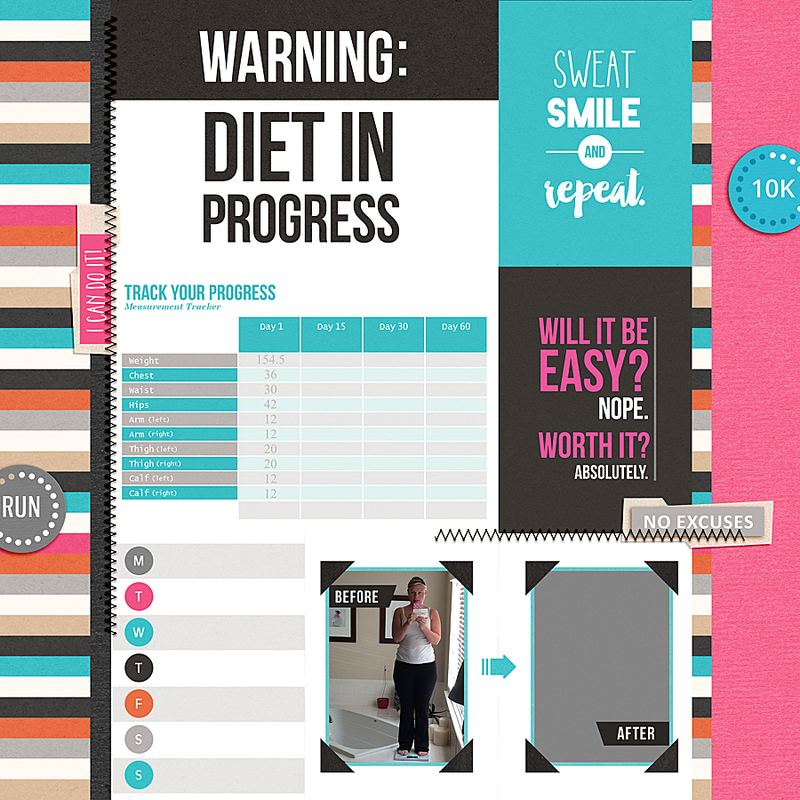 We all want to be healthier, happier versions of ourselves, but too often diet and exercise go hand in hand with negative self talk like "I don't like..." or "I don't run fast, why bother?" 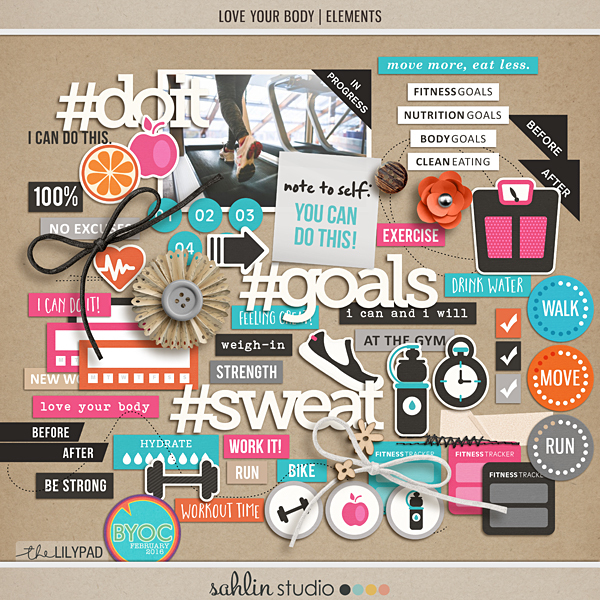 Getting healthy and fit shouldn't be about disliking your body, it should be about loving it! 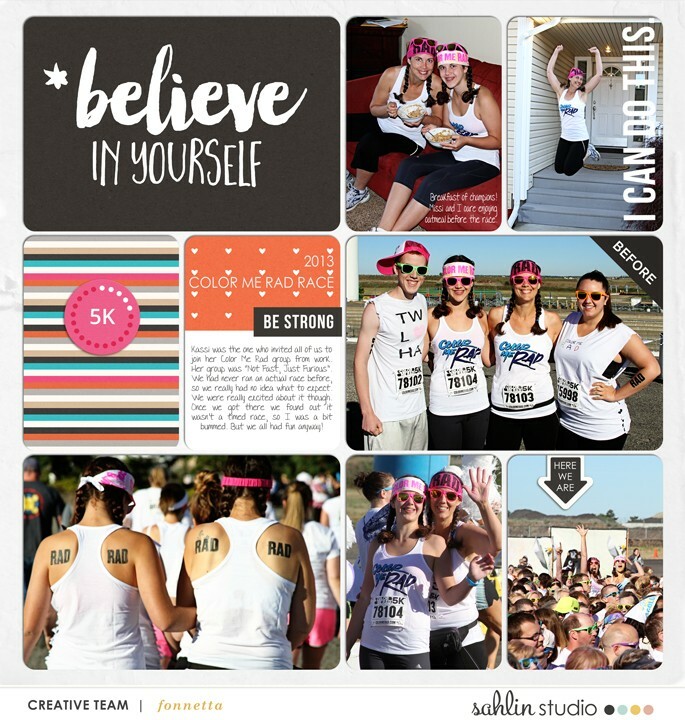 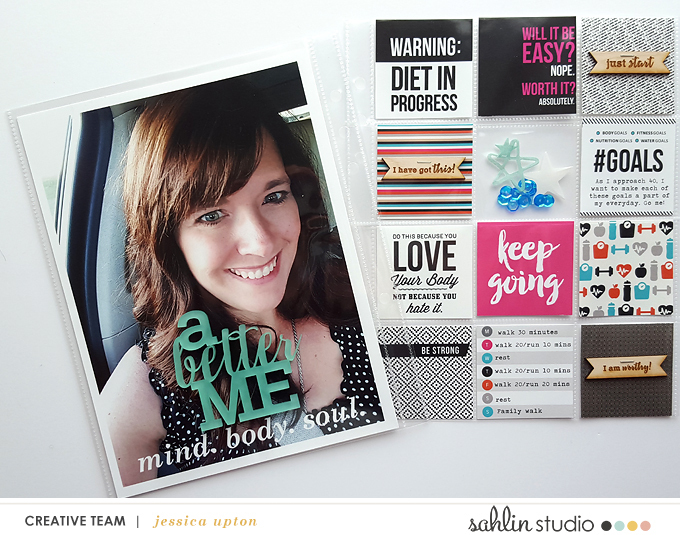 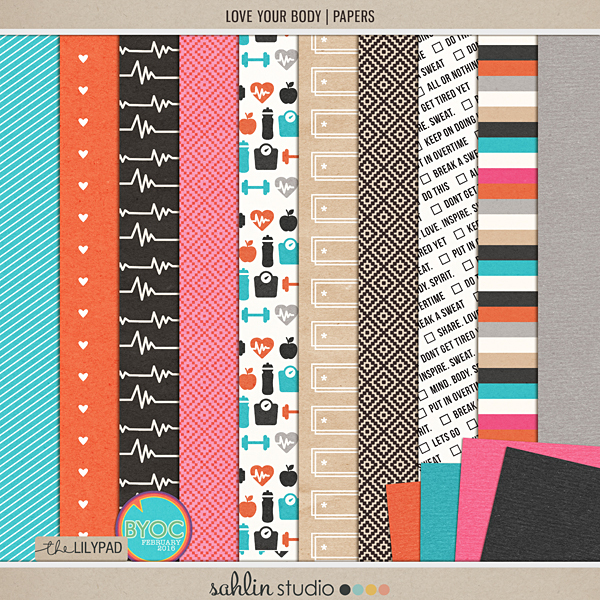 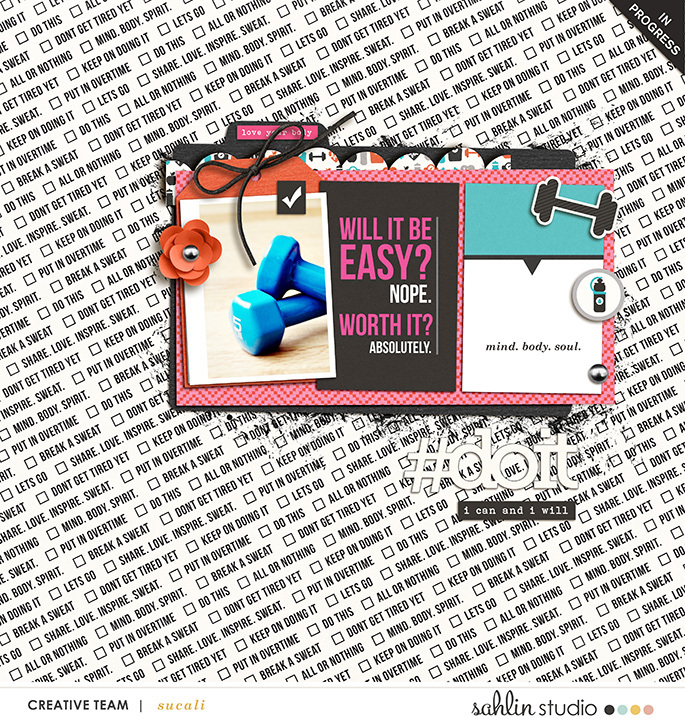 Now, with my Love Your Body: Journal Cards, you can document your health & fitness journey in a body positive way! 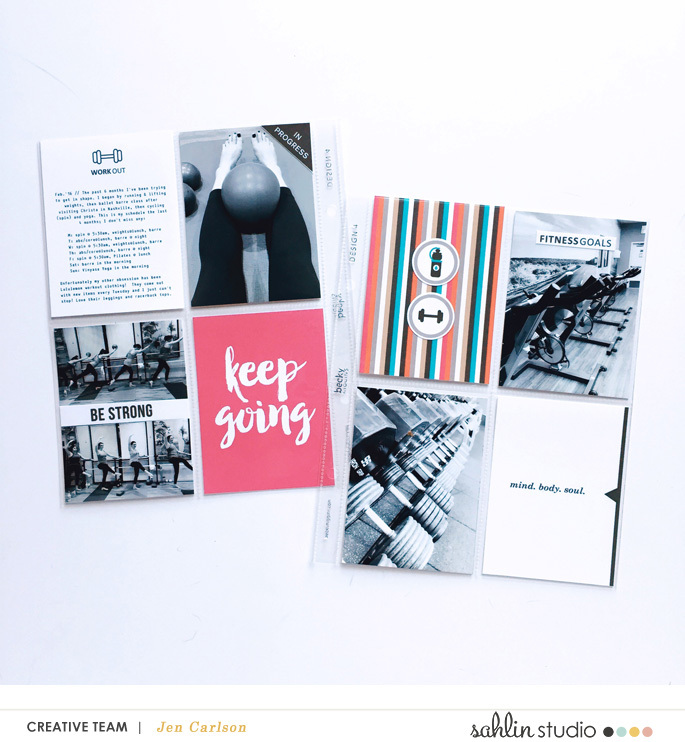 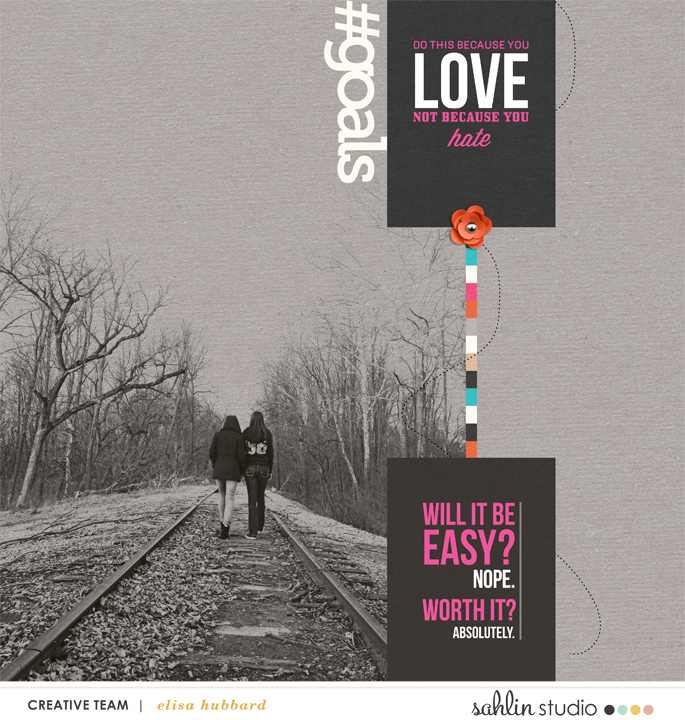 This pack is bursting with bright & colorful on-trend cards that will help keep you on track to reach your goals- from 'before & after' comparison frames and encouraging mantras, to workout and measurement trackers. 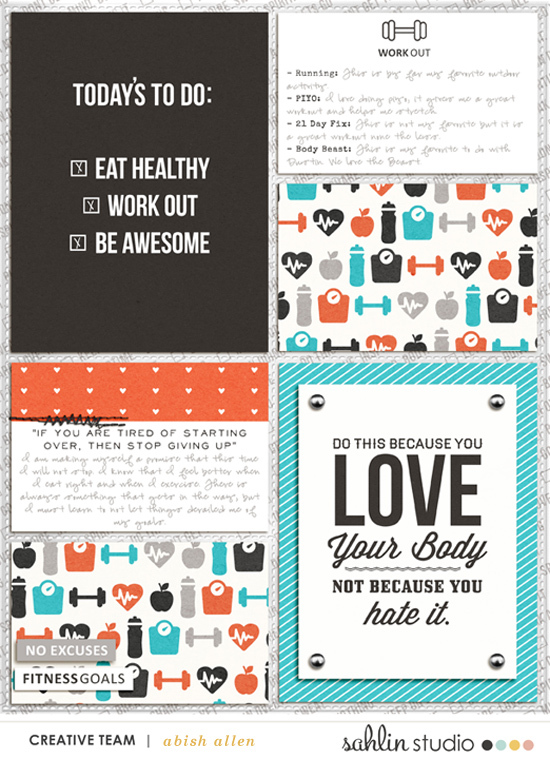 Tuck them into your pocket pages, or print them out for use in your hybrid planners to get those work outs scheduled- no matter what type of scrapping you do, Love Your Body: Journal Cards will help you be a healthier you! 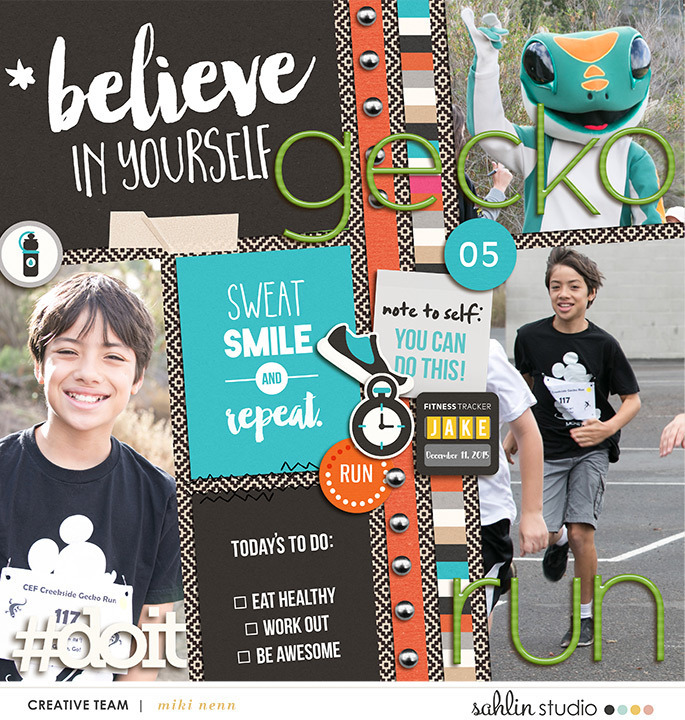 Coordinates perfectly with February 2016's BYOC.